(Sax, Mandola, Various Flutes and Whistles, Various Bagpipes, Accordian, Balalaika, Percussion, Setar, Ukelele, Fiddle, Didjeridoo) Catherine started her musical career with piano lessons at the age of 7. Soon after, she played saxophone all through her youth with various jazz groups. 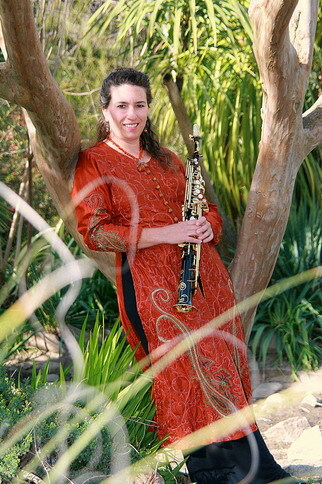 Having traveled extensively, she picked up other instruments along the way. While living in Italy she played in a Raggae band and performed with Middle Eastern musicians at various festivals and in various countries. After returning to California, she played tenor sax for the Star Duster’s Orchestra swing band and sax/flute/percussion for the Orchestra Variedad Salsa-Merengue band in the Bay Area. Emersing herself in her love for world music, she still manages to teach music and ecomusicology and works for the State of California as an Environmental Scientist as long as there is a budget. (Guitar, Bass) Russell began playing drums at age nine, but soon switched to trombone at age eleven, which he played throughout high school. Russell started teaching himself how to play guitar at the age of fourteen, inspired by the sound of the instrument. His continued pursuit as an artist is and has been to play the music moving through him – mind, body, and if very still, spirit. Russell’s musical influences are with and without form – everything vibrates – from notable musical greats to the feeling of watching a newborn child breathe his first breath of air. Russell is currently associating/performing with the Addict Merchants (hiphop band), Ras D (reggae artist), the Harley White Jr. Orchestra (jazz band), Anthony Coleman II and Sankofa (afro-beat band), Fo Shang (spoken word/music ensemble), and others. His aspiration is to not get in the way of the flow, to allow life and music to emanate from the depth of being. (Guitar, Bouzuki,) Clark has been playing guitar since he was 12. He found that guitar playing helped him through those awkward adolescent years. After playing and singing in clubs and bars while going through college, he vowed to never let it go. During graduate school he played routinely for a group of developmentally challenged children who were his greatest fan club. 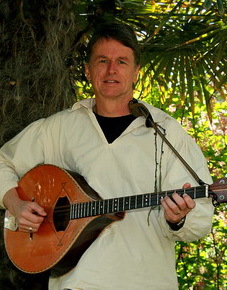 He sang for 3 years with the Sacramento Men's choir and played for Out of Kelter, a world music/Celtic band. 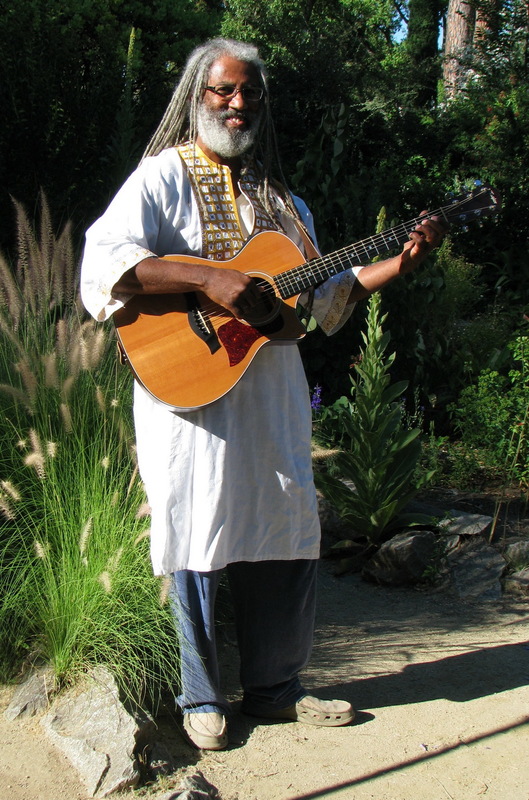 He got involved in the world music ensemble at Sacramento City College taught by Bob Wren. This is where he and Catherine met and formed Sambandha. He also plays a little accordion until his dog gets up in disgust and leaves, and supports his musical habits by instructing nursing at Yuba College. Originally from Iran and of Kurdish descent, Yadi established himself as a prominent architect, though he secretly lives the life of a musician. His knowledge of the Daf and the Zarb has brought these sounds far beyond the Silk Road and right into the likes of Sambandha. Sawako was born and raised in a Buddhist temple in the southern part of Japan. She has studied many different kinds of dances throughout her life and brings her own unique expressions into the art of bellydance. “Dance is a prayer in motion.” Sawako has been performing at various venues and events in the Sacramento area for 6 years with an American Tribal Style Bellydance Troupe “MANASA”. 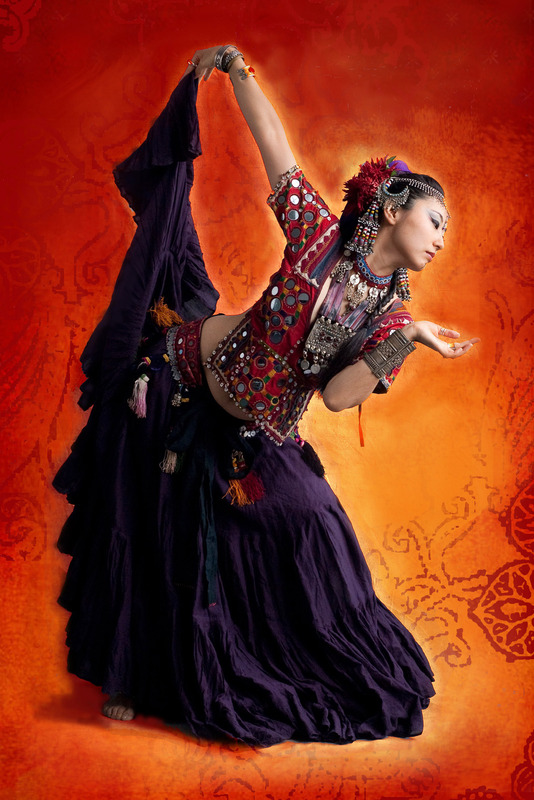 She has been integrating solo dance (both oriental style and tribal style) into her work with a focus on the connection between body, mind, and soul. She gives performances and workshops in Japan every year. She teaches tribal style bellydance classes in Sacramento and Fair Oaks. 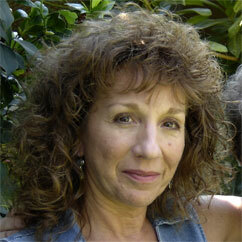 Paula Mandella is a world class musician who has been playing piano and synthesizer professionally for over 30 years. Paula has toured throughout Europe, Scandinavia, Africa and the Caribbean, playing with musicians from each of those countries. Blending her classical and jazz roots with world music instruments, Paula brings an exciting versatility to her performances. She is currently serving as Director of Music Ministry at the Spiritual Life Center in Sacramento, California. 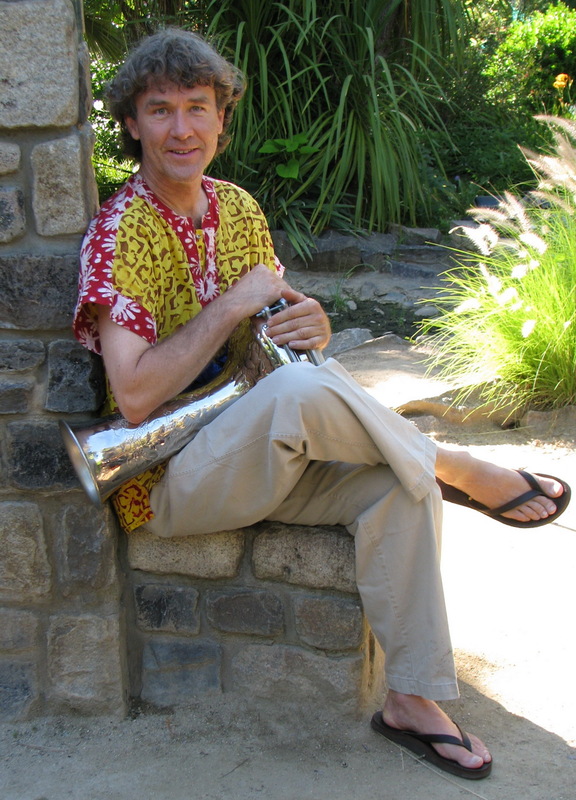 Steve enjoys playing many instruments including piano, guitar and a variety of hand percussion from around the world. For many years he participated in weekly drum and music jams with a group of talented and creative friends where he deepened his appreciation for listening, expressing and connecting with others harmoniously through the power of rhythm and circle. He can often be seen making music about town in samba parades, drum circles, various world music and dance ensembles and a variety of community oriented events where interactive rhythm and music formats serve to bring people together in joy and celebration. Guillermo Villagomez, born in Quito, Ecuador, taught himself the art of playing the Guitar, the Quena, the Sikus and a small 10 stringed instrument called the Charango. He founded two popular Andean groups in his hometown Ecuador, Inti Pacari (the morning sun) and Alborada (Dawn), that traveled throughout Ecuador and Peru. In 1992 he got invited to play with a group based in California called Kashwa, and later formed the renowned group Quitus. 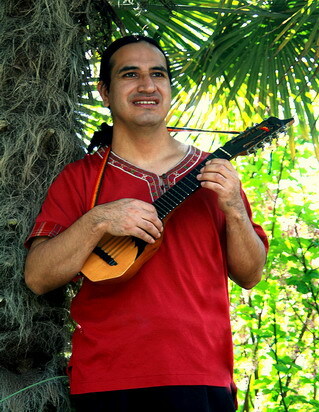 After 15 years of touring the US, Guillermo settled in Sacramento and created Latinflutes, an organization dedicated in spreading the great music of the Andes (http://www.latinflutes.com). He has been hooked up with Sambandha since 2006. Patricio Morales started touring with bands at an early age in his native Ecuador. He brings with him rich sounds of the Andes on his Charango and Tiple. However, having a great grandfather from China, he has been inspired to add the Chinese Erhu to his array of instruments, allowing Sambandha to enhance their sounds of the Far East. Parteek Bansal began learning tabla as a child as his local New Jersey Gurdwara under the guidance of Bhai Harbhajan Singh Ji and Bhai Binod Singh Ji. After years of learning and accompanying in kirtan, he continued to supplement his education and training under Pandit K. Paramjyoti, a disciple of Ustad Amir Hussain Khan of Farrukhabad Gharana. In 2003 he continued learning with Sajjad Chowdhry, senior student of Ustad Shabbir Nisar of Purab Gharana (which refers to both Lucknow and Farrukhabad Gharana). 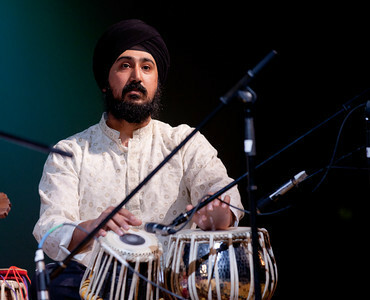 In subsequent years, he attended workshops with Ustad Zakir Hussain and continues to collaborate with Daniel Kennedy and Alex Jenkins, both senior students of Pandit Swapan Chaudhuri, and Matthew Grasso, a senior student of the late Ustad Ali Akbar Khan. Parteek has also had the privilege of accompanying many first-class musicians in the area, including Steve Oda (sarode), Ravi Pandita (violin), Ganesh Swami (singer), Leslie Schneider (singer), and Raja Sivamani (Veena), and would like to give thanks to Kalyan, Robbie, and Bruce at the Ali Akbar Khan College of Music for a variety of support. 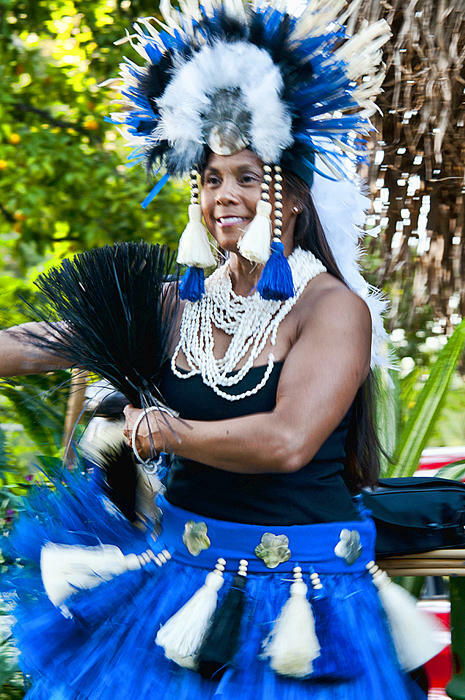 Kanoelani, dance director and choreographer, is the descendent of Princess Mercedes V. Allas. She is the Artistic Director of the Dancers of the Pacific and past kumu for the Hula Gals of Sacramento. She has been a member of Hapa, South Seas, Hui O’Hawaii and Na Maka. Currently she dances professionally with Hula Events and teaches Polynesian Dance at both Sacramento State University and Sacramento City College. 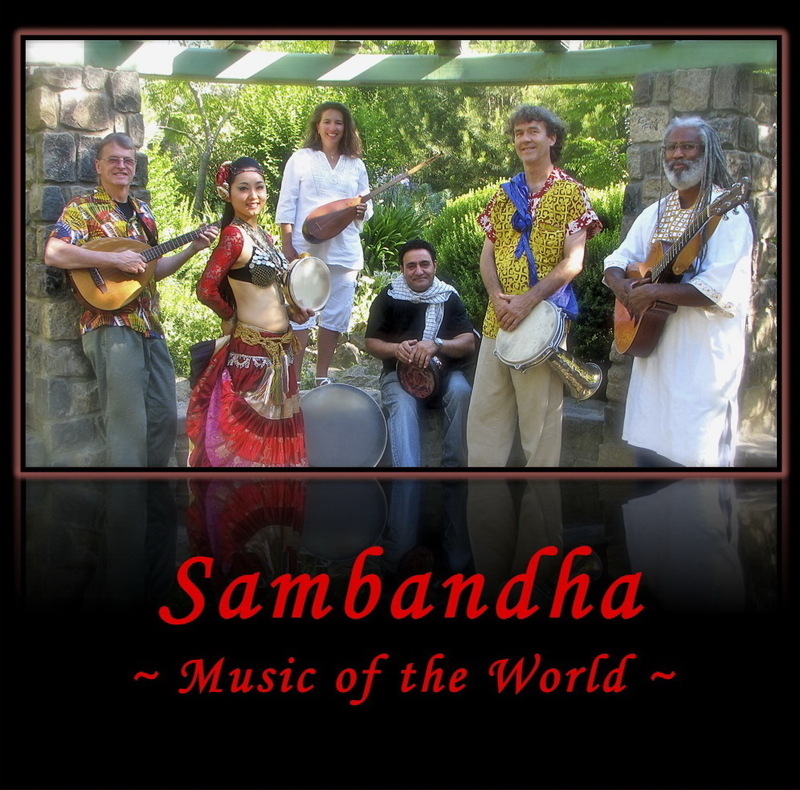 In addition to her performances and workshops with Sambandha, she and Catherine conduct Sambandha yoga retreats with live music. Click here for more information. 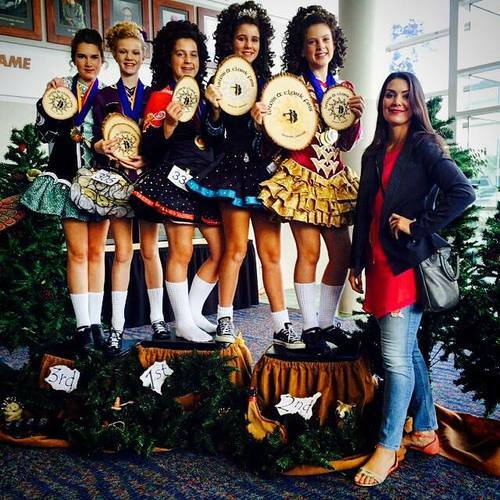 This Irish dance company is a talented and dynamic troupe that offers outstanding performances in both traditional and modern styles of step dancing and figure arrangements. 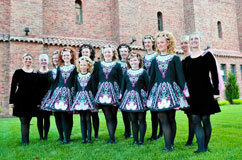 This group truly livens up our celtic performances. The McKeever School of Irish Dance offers students the opportunity to learn, master and preserve the art of Irish Dancing. At any level of experience we welcome dancers to join us to have fun, get fit, increase your confidence and become part of a worldwide community of Irish dancers.